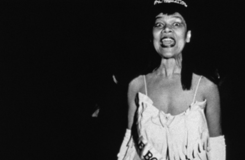 Lorraine O'Grady included in the exhibition The Feminist Avant-Garde of the 1970’s curated by Gabriele Schor and Anna Dannemann at The Photographers’ Gallery, London. The Photographers’ Gallery presents The Feminist Avant-Garde of the 1970’s, an expansive exhibition comprising forty-eight international female artists and over 150 major works from the Verbund Collection in Vienna. Focusing on photographs, collage works, performances, films and videos produced throughout the 1970s, the exhibition reflects a moment during which practices of emancipation, gender equality and civil rights protest movements became part of public discourse. Through radical, poetic, ironic and often provocative investigations, female artists were galvanised to use their work as further means of engagement – questioning feminine identities, gender roles and sexual politics through new modes of expression. Challenging accepted social conventions including the mechanisms and male dominance of the art industry, these artists sought to reconfigure, and ultimately reshape, the prevailing iconography of ‘woman’ as passive muse surrendering to the male gaze. Operating across the public and personal realms – as well as using their own bodies as central motifs – these artists sought to address broad political issues and confront patriarchy and sexism in art and society. In doing so they created new, positively assertive female identities.